MANILA, Philippines - Challenging the idea that sexual assault is a woman’s fault because of what she wears, UNFPA, the United Nations sexual and reproductive health agency, and UN Women, the United Nations Entity for Gender Equality and the Empowerment of Women launch the “Don't Tell Me How To Dress” Exhibit at the Rockwell Business Center Sheridan (2nd floor), Mandaluyong City. The exhibit showcases representations of clothes survivors were wearing when they were sexually harassed or assaulted. The stories vary from children as young as 18 months old, to working professionals who have experienced sexual harassment in the workplace. The exhibit highlights that sexual assault and harassment is never the woman’s fault. The issue is particularly critical in the Philippines where one in twenty women and girls age 15-49 have experienced sexual violence in their lifetime, according to the 2017 National Demographic and Health Survey. Survivors can suffer sexual and reproductive health consequences, including forced and unwanted pregnancies, unsafe abortions, sexually transmitted infections including HIV, and even death. It leaves deep psychological scars that can take years to overcome. Yet it remains shrouded in a culture of silence. 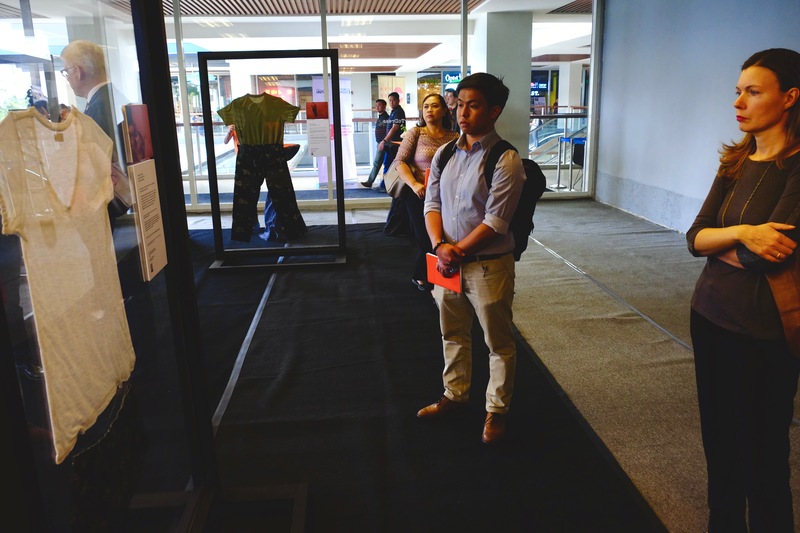 “We hope that this Don’t Tell Me How to Dress Exhibit will ignite dialogues to transform the culture that tolerates sexual violence, harassment and victim blaming,” said Ola Almgren, United Nations Resident Coordinator in the Philippines. wearing when they were sexually harassed or assaulted. “Harassment is never the victim’s fault,” he added. The exhibit is part of the UN Secretary-General’s UNiTE to End Violence against Women campaign with the theme “Orange the World: #HearMeToo.” The campaign proclaims every 25th of the month as “Orange Day.” The exhibit will be open from 25 January to 25 February 2019 from 10AM to 6PM, Monday to Friday at the Rockwell Business Center Sheridan (2nd floor), Mandaluyong City. UNFPA is one of the UN’s lead agencies working to further gender equality and women’s empowerment, and to address the physical and psychological consequences of gender-based violence and its prevention. UN Women is the United Nations entity for gender equality and empowerment of women, working to develop and uphold standards and create an environment in which every woman and girl can exercise her human rights and live up to her full potential.